Like any business, the overall success and health is driven and maintained by what happens in the “back office.” I know from personal experience that a restaurant can have amazing food, a friendly staff and an awesome location but if the owners/operators don’t have good numbers or understand them, the restaurants run will be short-lived. At first, tracking everything that is going on within multiple registers can seem complex. Then add in the gift certificates, tips payable, item coding and so on and so forth. In a matter of seconds, properly accounting for all this can seem overwhelming. It all is actually really simple – you just important to set up the basics correctly from day one (or modify after you are started with the below information and understand why you are modifying). Which report should I use to enter sales? Every day, or shift, ends with what is typically called a z-report (different point of sales call it different things). This essentially ensures that the cash in the draw matches what it started with, or for server specific restaurants, the wait staff started with $0 and will end with $0. At the end of the day, depending on how your operation is run, your staff will either owe you money, or you will owe them if they cash out tips daily. When closing the day you should close out all the waitstaff and registers. This ensures that sales from Tuesday’s big event are not accidentally showing up on last Friday’s sales. Once you have this daily sales summary closed out and at your disposal, you can enter the daily sales. This report should show all sales, including types, sales tax payable, credit card sales versus cash sales and so on. Sometimes this information may be found by combining two separate reports. Unfortunately it is not as easy as you think it will be – you do enter the numbers in front of you, but you need to make sure you enter them correctly and that your sales journals balance. I find sales journal entries best because as you review your monthly transactions you can easily find out when an issue arose and resolve that issue. The other important items are balance sheet items, like sales tax payable (money you owe the state or local government), gift cards payable receivables, cash you should have received and credit card deposits you will receive in the future.Sales journals present themselves as long and complex, when in fact, everything is right in front of you on a daily report to successfully and quickly fill out a sales journal. The 4000’s are all your income accounts, they record revenue or sales. The debits located in the 4000’s are merely your comps or discounts, which reduce revenue and are important to track as you want to keep a close eye on these. Out of control discounts and comps can easily sink a healthy restaurant. The key difference between recording a daily sales journal and other types of sales recordings is that sales are recorded on the day they occur and the balance sheet is updated daily. For a restaurant where one is trying to dive deep into the financials, have accurate books or merely wants to run a great restaurant, these sales journals provide the blueprint. 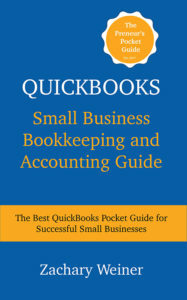 QuickBooks has great features that allow you to memorize journal transactions. That is exactly what you should do to record these daily sales. The only part of the above entry that should change are if the Gift Cards are being spent or bought – the above example shows a gift card being used for a purchase. It will switch to a credit when you are making a sale of a gift card. Remember that if you sold more gift cards then you received, it will be a credit and vice versa. For QuickBooks Online, if you click on your gear (top right) then click recurring transactions, you’ll see a list of all of your memorized transactions. When you first enter the above journal you can merely click more options in the bottom of your screen and select memorize transaction. Trust me, the leg work saved will be worth it to figure out how to memorize transactions. When using receivable accounts along with sales journals, it is very important that these accounts are reconciled monthly. Sales journals allow you to quickly dive into issue on specific days and resolve them. For example, if you notice that your credit card receivable account says you are owed an extra $5,000 a the end of the month, but you reconcile and this is not true, you need to pinpoint which days an error occurred in your sales journal. This is likely that you overstated revenue and that you overstated your credit card receivable, other potential options are understating cash receivable instead of the correct amount, so on and so forth. Either way, make it a good habit to reconcile these accounts monthly to track any issues, before the balances get huge and the financials are incorrect for an extended period. If your restaurant has customers with credit terms, hopefully this means they are a business and you have performed a credit check (hotel, country club, etc.). These should be rung up in the Point of Sales system like normal and treated as regular sales. There should be another form of payment added to the POS or cash registers, called ‘house account’. I would recommend setting this up with a managers password, checking daily, and ensuring abuse does not occur. This is the best way to track sales that are part of normal business but may be paid at a later date. Even though credit cards are paid at a later date, no need to setup a house account as we have already set up receivable accounts for these. If you run a catering operation, it is a bit different than setting up customers with access to your house account. Rather these businesses should be treated as receivables, invoiced ahead of time, and tracked a bit differently. QuickBooks online and QuickBooks desktop can handle this invoicing aspect for you, though that is a deep dive for another post. You would track these like normal accounts receivable and deposit those receivables like the normal AR function in QuickBooks. Additionally, the top small business POS’s usually have an invoicing feature integrated, just make you are keeping a close eye on these receivables, so they do not get out of hand. 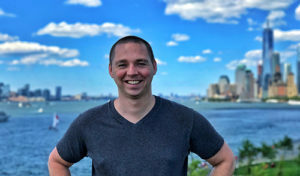 A freelance financial and accounting consultant for hire in New York City with almost 10 years experience in the real estate, tech, restaurant and startup sectors. I started my career in the startup sector, moving to real estate, and the hospitality industry before finally working as a freelance financial consultant. I offer a wide range of financial consultancy services — from full financial strategy and daily accounting management to financial vision and outsourced CFO services. Though I’m based in NYC and often work with clients in their offices, I handle financials for organizations across the country.